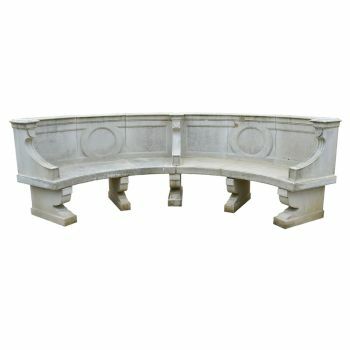 This curved seat is made of composition stone and comes with cushions. 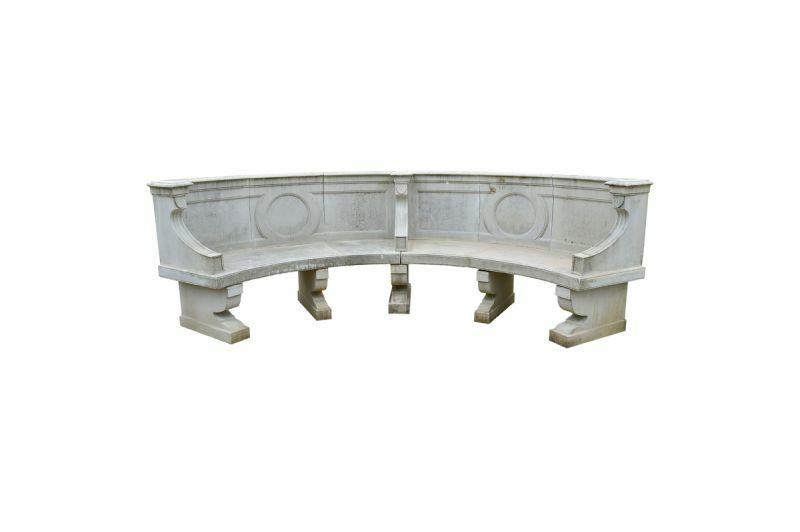 The seat is divided into two and is elegantly carved on the back. It would add a graceful element to any garden.